I've had a few Tasting Page Taste Tests where I've featured food pairings with seasonal wine and with varietals like Pinot Noir. It's a fun way to get friends together and play with different flavors. But seeing as I've just returned from India and I'm attempting to restore my system to its healthy equilibrium, I've decided to lay off the booze for a little while. Being in an alcohol-free zone has not stopped me from wanting to entertain though, so I decided to have a little get together over the civilized beverage of tea, while also enjoying some complementary noshes. I pulled grandma's china out of storage and wondered why I hadn't done it sooner. I feel like they instantly class the place up. Now what to serve at a tea party? There's some obvious food pairings, but writing a clean eating blog and recovering from a 3 week India trip, I leaned towards healthier choices when possible. Here are a few healthier tea party essentials. 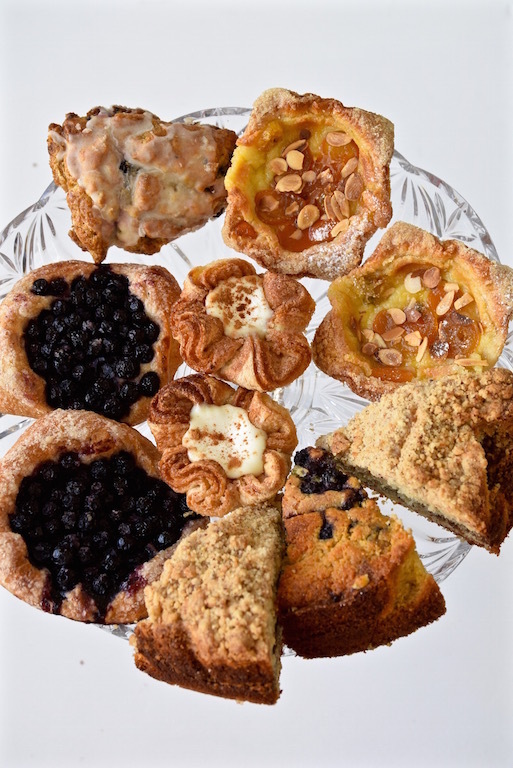 It's not a tea party without some baked goods. 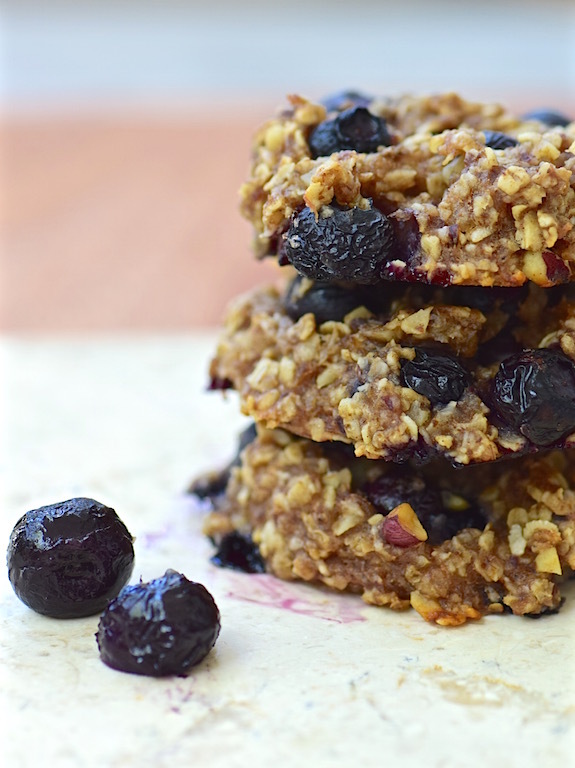 Luckily there's a lot of gluten free and naturally sweetened products out there now, so you can indulge a little more guiltlessly in classic tea food items like scones, muffins and healthy breakfast cookies (try my banana blueberry one's). These sweeter treats were perfect companions to Lipton’s new black and improved green teas. The bold aromas and unique tastes balanced the bakery fare, and also held up to a ripe, fresh fruit salad. If you do nothing else except for cut the crusts off of some bread, you will have an instant tea party. Going to a proper high tea party anywhere, you'll always see cute little, crustless bite size sandwiches. You can use gluten free bread and fill it with curry chicken salad or sliced salmon, capers and dill. If you want to go tea party rogue, ditch the bread entirely and put your salads in some greens like my mayo-less crab lettuce cups. I also offered my bread-free and vegan friends cucumber rounds topped with a spicy artichoke white bean dip. Lipton's new black tea with Bergamont and Citrus was the perfect drink to accompany this meatless choice, and a fun twist on the conventional black tea. I made some blueberry chia jam oat bars that leaned towards savory since I didn't include any refined sugar. That ended up pairing well with the sweeter new herbal Berry Hibiscus tea. They were the yin to each other's yang. On the dessert side, my friend Cheryl brought a quintessential tea treat of lemon bars, served beautifully arranged with a pretty floral arrangement right in the middle. Did I mention, that you should make sure to get some pretty flowers to jazz up your tea party? They can brighten up any room or table. Of course the most important part of any tea party is the tea! I served several different varieties both hot and iced. My friend Sue just wanted to keep a constant batch of Peach Mango tea brewing in her house since the aromas were better than any home diffuser! I also brewed some tea and refrigerated it over night before serving it the next day with some enhancers like fresh lemon, mint and berries. I had the various tea accoutrement of milk, coconut sugar, honey and lemon, but most people enjoyed the tea straight up. I'm not the only healthy Angeleno in this town, but honestly, most of this tea needed little tampering as they were delicious as is. We had a wonderful afternoon catching up and trying out different tea and food pairings. You can never go wrong with good friends, good food and good drinks! And so you don't feel left out, I'm offering a coupon here for $0.75 off any 1 Lipton Black, Green, or Herbal 20ct tea so you can host your own tea party for one or for many.